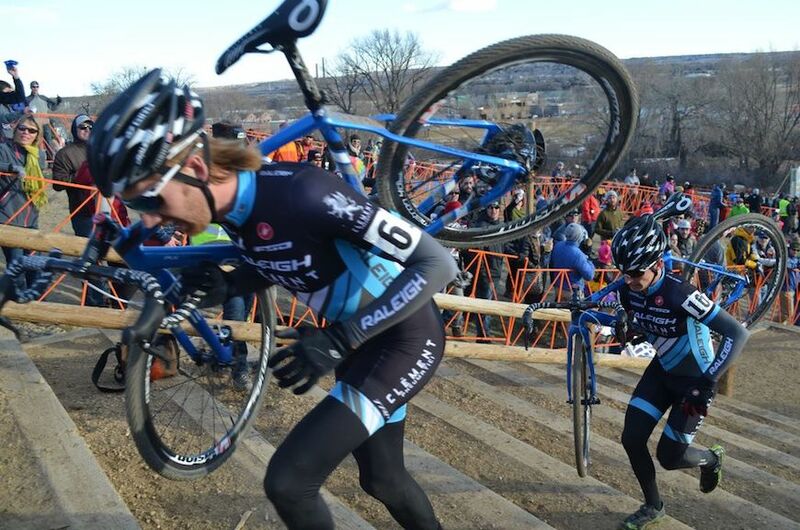 A week removed from the cowbell-clanging, beer guzzling, body painting, hup-huping of last weekend’s USA Cycling Cyclocross National Championships, and we can look back and reflect with a clearer mind. On all accounts, it was a banner weekend for the Raleigh-Clement team, the fun began with the masters races earlier in the week and culminated with the main event: the Elite Men’s Championship on Sunday afternoon. Masters titles were on the line for Rebecca Gross (Team Raleigh-Clement) and Robert Marion (Raleigh-sponsored American Classic Pro Cyclocross Team). Gross found the form and power that earned her a Masters World Championship title in 2012, leading for much of the race and taking the win in the Women’s 30-34 age group race in dominant fashion. Then it was Marion’s turn to battle in the Men’s 30-34 age category. He and fellow Elite racer Justin Lindine exchanged blows and duked it out on nearly every lap, until a small slip-up on Marion’s part cost him the precious seconds he would have needed to fend off Lindine. He came in for a solid second place finish, a huge feat in a stacked field. Fast forward to the big show on Sunday, where we had Allen Krughoff and Jamey Driscoll of the Raleigh-Clement team battling with what many were calling the strongest-ever US Men’s Elite field. Both had high hopes, with Boulder-native Krughoff shooting for a top-10, while Driscoll had podium ambitions. Both hopes turned out to be founded, and the two put on one of the most exciting shows of the weekend, battling for fourth position against Jonathan Page early in the 60-minute race. 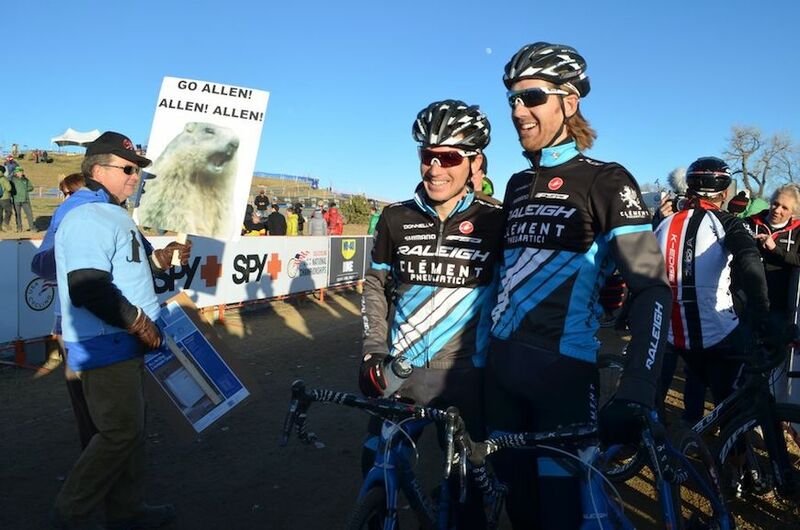 Atop Raleigh RXC Pro Disc carbon bikes they threw down and gapped Page, allowing the two Raleigh teammates to exemplify teamwork, camaraderie, as well as hometown pride, as they finished together to claim podium spots. With Driscoll taking fourth and Krughoff fifth, it was a sweet end to the weekend and confirmation of Driscoll’s position in the upper echelon of American cyclocross. And for Krughoff? Well, it was the breakout ride of a lifetime in the perfect place to have it — home, and the cherry on top was an invitation to join the US World Championship team in Hoogerheide, Netherlands, on February 2. Both Gross and Marion also raced in the Elite races on Sunday. 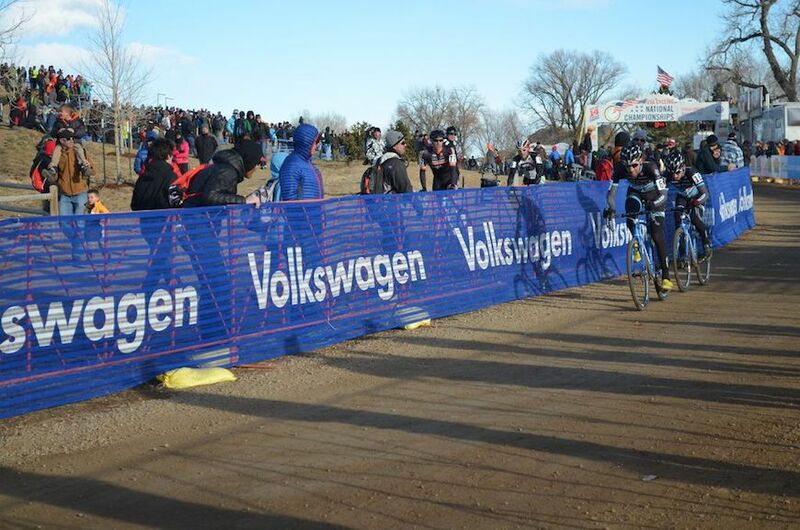 After a dropped chain, Marion fought his way from 50th to a 17th place finish. Gross came in for a solid 25th place in the 110 competitor-deep Elite Women’s field. Driscoll, Krughoff and Marion could all be seen racing on their Raleigh RXC Pro Disc carbon bikes this weekend, and all three raved about the modulating and stopping power of the disc brakes, as well as the handling of the bike frames themselves. Stay tuned as we’ll be catching up with the riders and talking to Krughoff as he readies himself to battle at World Championships!